FOUR rounds down and the South Australian National Football League (SANFL) Women’s competition ladder is starting to take shape. Norwood remains the only undefeated team and takes on West Adelaide in what should be a terrific clash, while Central District and North Adelaide looms as another tight encounter. In the first game of a triple header at Coopers Stadium, the winless Sturt takes on Glenelg, a side seething from its first loss of the season last week. The Tigers will be keen to bounce back from the defeat at the hands of West Adelaide and regain ascendancy in the mid-table logjam. The Tigers have brought in four players to the side with ruck, Lauren Bungey and key defender, Olivia Walker-Obushak among those returning to the fold. The Double Blues have been forced to make some changes with Izzy Kuiper out due to injury, Jessie Keech out to play softball and Alexandra Ballard also omitted from the side. Into the team comes full-forward, Caroline Burgess in a bid to try and create more scoring power, and defender Brooke-Lee Chaplin. Glenelg will be the favourites in this game to bounce back from a rare los and hand Sturt its fifth consecutive defeat, however the Double Blues have been competitive across the board this season and would be edging towards a victory sooner rather than later. In the Game of the Week, top-of-the-table Norwood takes on fourth placed West Adelaide in a vital game for shaping the top four early in the season. The Bloods are one of three teams with a 3-1 win-loss record and victory would be crucial in getting an upperhand on their rivals. The undefeated Redlegs have made three confirmed changes, with Elisha Gallagher and Rhiannon Busch key outs as they have army duties, while Zoe Greer will miss through injury. 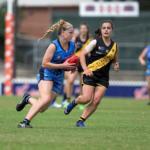 Into the side comes forward, Tara Robertson, GWS GIANTS defender, Ebony O’Dea and Crows’ onballer Sally Riley. For the Bloods, They have brought in four players to an extended team, including full-back Jacalyn Pickering and defender Emma Smith. Norwood deservedly head in as favourites and are expected to continue their undefeated run, but the Bloods knocked off Glenelg last week in a low-scoring contest, so could have the defensive ability to restrict the Redlegs. Riley, Monique Hollick and Najwa Allen is a formidable midfield, while O’Dea and Sophie Armitstead provide good rebound out of attack. For the Westies, Abbie Ballard has been a shining light in the midfield, while Maddie Newman and Chelsea Biddell have been others to watch this season. In the final game of the double header at Coopers Stadium, the in-form Central District faces North Adelaide. The Bulldogs have won back-to-back games against the Eagles and Double Blues and will look to make it three on the trot against North Adelaide. The Roosters have had a tough draw to start the season and are unlucky to have just one win from four games. Victory would see North Adelaide have a chance of overtaking the Bulldogs, while also keeping the bottom two at arms-length. With more of a favourable draw coming up in the future, the Roosters could get on a roll. For the Round 5 match, just the combined two changes have been made with Alex Fittridge and Elysha Willis coming into the Roosters’ line-up, while four players have been added to an extended bench for Central District. This could be the game of the round if both teams play at their best, with firepower and consistent players across the field. Katelyn Rosenzweig has been a lively point at full-forward this season, while Jessica Sedunary has serious abiloty. Abbey Scheer and Demi Sonneman have been consistent so far this season, while Jayme-Lee Sonneman has stood tall in the ruck. For North Adelaide, Amber Ward has been a rebounding machine in defence, Kelly Barltrop has been a target up forward, while Leah Tynan, Nadia Von Bertouch and Rheanne Lugg have made a formidable midfield trio. North Adelaide could be considered favourites given their experience, but the Bulldogs have the confidence after stringing two wins together and the scoring power to make it three. The final game of the round has reigning premiers South Adelaide coming up against a Woodville-West Torrens side that has been forced into making changes. The Panthers head into the game with a loss to Norwood the only blemish this season, having not put a foot wrong since then. The Eagles are still searching for their first win this season and team selection has not helped them. Sarah Perkins and key midfielder, Jaimi Tabb are unavailable, while Chloe Forby was suspended and Natalie Subelli forced out due to concussion. Add in the omissions of Taylor Hand and Amie Blanden and the Eagles head into the match with at least six different players to last round. Cassandra Glover will look to replace Perkins up forward, Georgia Taylor returns to the side to help out the defence as will Colbie Frankland. South Adelaide also lose a crucial player with Nikki Gore out due to AFL Women’s duties with Adelaide’s preliminary final against Geelong, while Alana Browne will miss due to a hamstring. The Panthers have brought four players into the mix, with Tonia Fielke slotting on a wing to replace Gore. The Panthers midfield might be missing Gore, but with Hannah Munyard, Czenya Cavouras, Elyse Haussen and Nicole Campbell in the team, it will make life difficult for the Eagles. Rachel Dunstan and Natasha Farrier are potential match-winners, while Kiana Lee will shoulder the load up forward and has plenty of talent. Stephanie Walker‘s work in defence is also important in this game as they look to cause an upset. Woodville-West Torrens will need to bring the heat for four quarters as the Panthers are an impressive outfit, but anything can happen on the right day. IN this week’s Scoreboard Sweep, we look at the final round of AFL Women’s, the second round of the NAB League Girls and the fourth round of the South Australian National Football League (SANFL) Women’s competition. In the final round of the AFL Women’s competition, Fremantle ended North Melbourne’s finals hopes with a win to take second spot. That came a few hours after Adelaide destroyed Melbourne in a dominant first half, containing them to just one goal for the game after going scoreless in the first two quarters. GWS GIANTS kept Geelong nervous over the weekend after a big 31-point win, but as it turned out, the GIANTS needed it given Collingwood claimed its first victory of the season, defeating Brisbane by six points. It ended the Lions’ chances of finals, and helped Geelong scrape in. The final game of the round meant little in terms of on-field by the time it rolled around, but as usual the Pride Game got a big crowd at Whitten Oval in what would have been a strange feeling given the reigning premiers were now the wooden spooners of one conference, while last year’s wooden spooners were the minor premiers of the other conference. Carlton got the job done for Conference B’s second win against a Conference A rival, despite a late thrust by the Bulldogs where they kicked six last quarter goals. Ebony Marinoff booted her first goal of her career, also racking up 19 touches and eight tackles. Speaking of tackles, Kiara Bowers laid 13 of them to easily smash the previous season record by Marinoff, also collecting 23 disposals and three marks in the Dockers’ win. Ash Brazill and Sarah D’Arcy led from the front up either end, amassing 43 disposals, 15 marks, double-figure rebounds and two goals between them. In the second round of the NAB League Girls, Calder Cannons and Geelong Falcons became the last remaining sides with two wins after Oakleigh Chargers drew with Northern Knights, the GWV Rebels went down to the Cannons, and the Bendigo Pioneers toppled the Eastern Ranges. There were plenty of individual standouts, none more so than Georgie Prespakis who booted seven goals in her side’s win, all coming in the second half after spending time in defence and midfield in the first half. Renee Tierney booted four for the Falcons in the first half, while Mia Skinner chipped in with three in their win, while the Dragons came close to piling on goals late in their loss to the Stingrays, but missed opportunities and went down by 20 points. After two rounds, it is the Falcons ahead of the Cannons, followed by the Knights and Chargers rounding out the top four. Speaking of the Chargers, captain Mimi Hill led from the front, while Emily Harley moved to outright second on the goalkicking table booting three majors to take her total to seven from two games. Norwood remain the only undefeated side in the SANFL Women’s competition, defeating Woodville-West Torrens by 28 points. The Redlegs were inaccurate in front of goal, booting five majors from 17 scoring shots, but got the four points as fellow undefeated side Glenelg went down to West Adelaide by 10 points. The game of the round was reigning premiers, South Adelaide knocking off North Adelaide by one point in a nail-biting game. The Roosters finished with the same score as Central District who made it two consecutive wins, handing Sturt another loss to make it four consecutive defeats for the Double Blues. In terms of individual performers, Norwood’s Najwa Allen had 29 touches to continue her terrific season to date, while South Adelaide’s Nikki Gore had 24. Competition leading goalkicker, Kelly Barltrop booted another two majors for the Roosters to take her tally to nine from four games. Katelyn Rosenzweig was a shining light for Central District with 2.4, while Sturt’s Sophie Hoyle was also a big ball winner with 23 touches. AFTER a week off, the South Australian National Football League (SANFL) Women’s competition recommences tonight for Round 4 action. The night sees a double header at X Convenience Oval, as well as 7pm games at both Flinders University Stadium and City Mazda Stadium. Two sides remain undefeated, and two are yet to get a win on the board in season 2019. The first of two games at X Convenience Oval pits one of the premiership favourites, Norwood against newcomers, Woodville-West Torrens. The Eagles are yet to taste victory in season 2019, having gone down to Glenelg, Sturt and fellow 2019 debutants, Central District in the opening three rounds. For the Redlegs, they have answered every challenge thrown at them, knocking off the reigning premiers, South Adelaide, as well as North Adelaide and Sturt. They will head into this game as strong favourites to make it four in a row, while the Eagles will be keen to break their winless start to the season. Norwood’s team selection includes two forced outs with Bree-Anna Liebhadt and Emma Clark both out of the side with injury, while Jiarna Zerella has also made way. Into the team comes defender, Rosette Zerella, as well as Michele Reid, Zoe Greer and Tara Robertson who have all been named on an extended bench. For the Eagles, they lose a couple of players due to concussion, as Annastasia Falkenberg and Georgia Taylor are both out of the side. Jessica Wilson will be looked upon to play Taylor’s role out of defence, as the Eagles have also named ruck Taylor McKay and winger Tesharna Maher among five inclusions for their Round 4 clash. All eyes will be on both sides’ forward lines with Sarah Perkins and Kiana Lee providing some serious firepower up front for the Eagles, while Hannah Dunn has been a ball magnet this season, and has been named at centre half-forward. The Redlegs’ rebounding power of Sophie Armitstead and Monique Hollick will also give them an advantage, while a potential head-to-head between Najwa Allen and Jaimi Tabb could be a battle in itself. Expect Norwood to get the job done, but the Eagles have shown that if they can get it forward, they are always able to cause some headaches. The clash of the round is set to occur at Flinders University Stadium, with last year’s minor premiers taking on the reigning premiers. The Roosters have had just the one win, but their losses have come against the two undefeated sides in Norwood and Glenelg. The Panthers’ only loss also came against the Redlegs, and they will head into the game as favourites, having pushed Norwood, and looked impressive in the other matches. The Roosters still have some really dangerous players, and their leaders will be keen to get a vital win here. South Adelaide have made three changes to their Round 3 side, with Tiffany Copley and Brianna Wedding both out due to injury. The Panthers have named an extra extended bench, bringing in five players, including forwards, Lauren Buchanan and Jess Kirk, and winger Nicole Campbell. Nikki Gore has been named on an extended bench, timing her debut with Adelaide in the AFL Women’s perfectly to coincide with a bye last week. 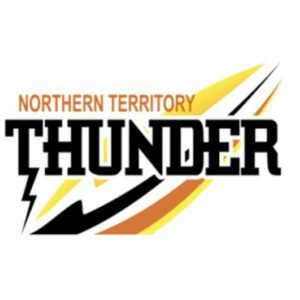 For North, they have made three changes, as they bring back important onballer, Rheanne Lugg, as well as Cristie Castle and Kathryn Reynolds. Both sides contain some of the top players in the SANFL Women’s with South’s team brimming with young talent. From ruck/forward Montana McKinnon, to midfielders, Teah Charlton and Hannah Munyard, the Panthers have some future stars developing within the club. Czenya Cavouras tore the game apart in Round 3 and will once again be a key contributor in South’s efforts, while Madison Bennett and Jaslynne Smith are others who have gone through the Under 18s state side. For the Roosters, captain Nadia Von Bertouch has been consistent all season, and with Lugg back in the side the pair will combine with Leah Tynan through the inside, and look to set up leading goalkicker, Kelly Barltrop at full-forward. Meanwhile up the other end, Amber Ward has been a prolific rebounder this season and could be a player to set up attacking drives. South Adelaide head in as favourites, but North Adelaide are not a team to take lightly. Both West Adelaide and Glenelg were undefeated heading into Round 3, but the Bloods dropped their first game of the season to South Adelaide, while the Tigers showed they were the most improved team of the competition by toppling the Roosters. In Round 4, Glenelg would look to win to keep touch with Norwood, while West Adelaide will keep its spot in the top four if it can salute in this game. The Bloods have lost ruck, Leah Swain due to work commitments, while Alana Lowery is out following a knee injury and suspension. Tekira Hoffman has been thrown into the ruck, while Phoebe Edwards returns to the side, slotting straight into full-back. Helen Maidment returns to the onball brigade, while Emma Smith and Alex Czabayski have been named on an extended bench. For the Tigers, they remain unchanged, with Olivia Walker-Obushak and Eirenn Harkness added to an extended interchange. West Adelaide’s forward targets of Chelsea Biddell and Melanie Elsegood always attract attention when going inside 50, while Lucy Bellinger and Hannah Crump have equally shown to be a handful to opposition sides. Samantha Franson will look to take advantage of the in-form Swain’s absence in the ruck, to get forward and try and hit the scoreboard. Ellen Fauser is another Tiger who has been impressive this season and will likely match-up on one of the twin towers in the Westies forward line. Abbie Ballard continues to develop for the Bloods, as does Maddie Newman, while Glenelg have a well balanced team that continues to get the job done. In this match, Glenelg will use their consistency across the field to head in as favourites, but West Adelaide are every chance of causing an upset. The second game in the double header at X Convenience Stadium sees newcomers, Central District go up against Sturt. The Bulldogs claimed their first win in Round 3 following a victory over Woodville-West Torrens, while a brave Double Blues side is still yet to taste a win, but is competitive each match. The Bulldogs have lost Isabella Wilson to suspension – a key out after the tall forward booted 2.2 from 11 disposals in the previous game. They have welcomed back Jessica Sedunary who will look to fill that void, while Karissa Searle has also been added into the forward mix. For Sturt, Nicole Baker has to miss due to work commitments, while Jess Schulz has been omitted. Key defender, Paxton Davis-Mattner comes into the side, as does forward, Brianna Burt. The game will see Sturt’s strong midfield take on a Central side that has some standout players across the ground without a dominant third in particular. Katelyn Rosenzweig looms as the X-factor up forward for the Eagles, with Abbey Scheer, Rebecca Catterall and Shalee O’Brien looking to win the ball in the midfield and get it forward. 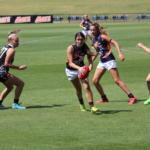 The half-back line of Gemma Doughty, Nicola Biagi and Chantelle Reynolds has been effective, while Sturt’s forward line that contains Georgia Swan and Caitlyn Swanson will need some careful watching. Izzy Kuiper, Maya Rigter and Georgia Bewvan are a challenging midfield at the best of times for any opposition and with a forward line that shares goals around, it will be an unpredictable set-up to combat. Sturt might not have won a game yet, but the Double Blues have never been out of a contest and remain firmly in contention to be a competitive outfit in season 2019. Expect them to go hard at the contest and they could almost be favourites, although Central’s efforts last week were very impressive.